Yup you’re definitely right. My first food review is about this awesome Korean dessert everyone’s talking about. 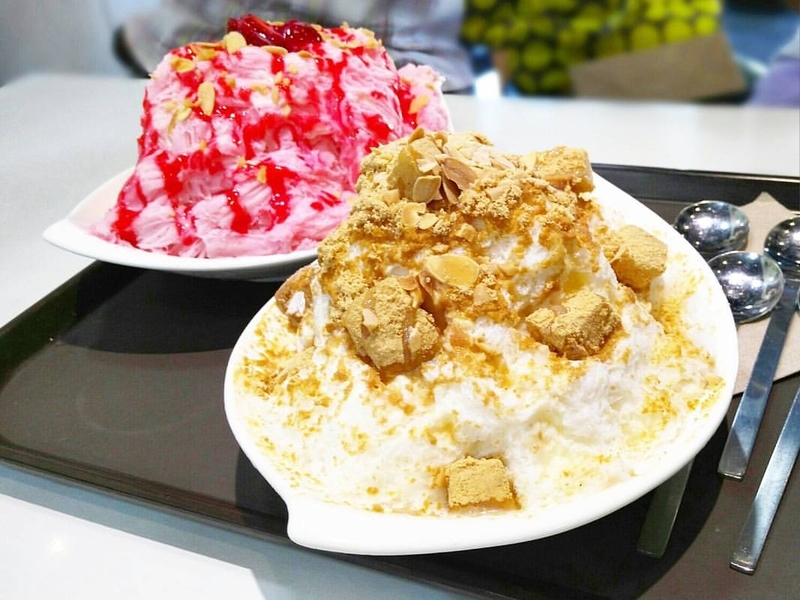 Nokcha bingsu (green tea), ttalgi bingsu (strawberry), pat bingsu (red bean)…name it! When we hear bingsu, everyone can’t stop drooling. So what’s really making it a crowd-pleaser? Like halo-halo it consists of shaved ice but the ice they use were so fine that it just melts so smoothly in your mouth. Then it is drenched in milk and topped with a choice of either fruits, brownies, bean powder, red beans…anything you like. Some stores also put some surprise between the ice shavings. It’s definitely a plain canvass you could easily be creative with. 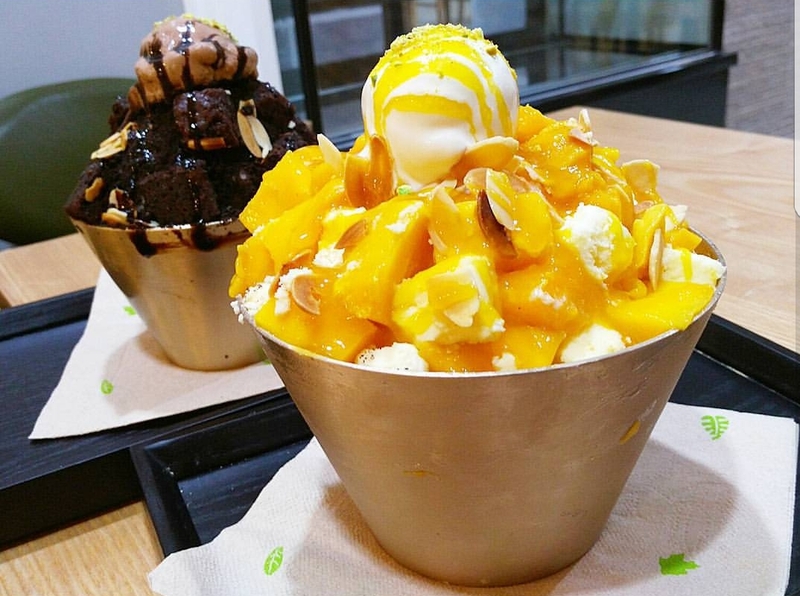 To give an idea, here are two dessert parlors best to try bingsu. One of the best and the first bingsus I’ve ever tried. It definitely is one of the most famous in Philippines knowing it has a branch already at Solenad, Nuvali; Commerce Center, Alabang; BF Homes, Paranaque and BGC. They decorate their bingsus in a fancy manner that you just can’t not take a photo of them. They do not just offer bingsus but as well as sandwiches and toasts (topped like bingsus), tteokbokki and coffee of your choice. 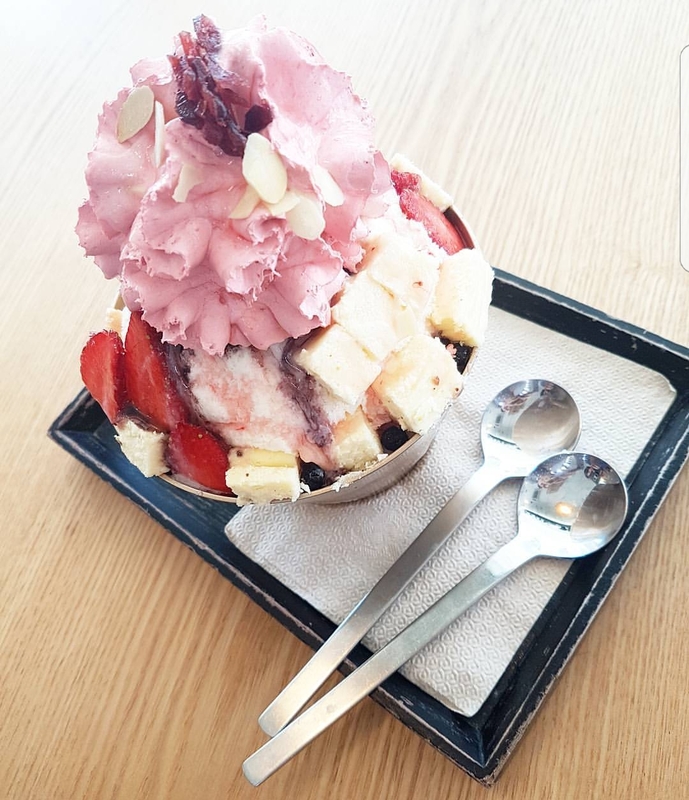 Cafe Seolhwa’s bestsellers include Berry Cheese Bingsu, Mango Cheese, and Choco Brownie. Located at Katipunan Quezon City, Noonsaram serves not only bingsus but as well as pastries and other korean snacks. By the size and taste of each order, I have to say that their price compared to other cafes are small to pay for such a filling and delectable treat. Below is their Bingsu Menu with the actual price. In conclusion, it’s not new to us that Koreans influenced not just majority of the Philippine market but the entire world. I’m not KPOP to start with but the innovation these people has given us not just to cosmetics but also to food has become the very known trend.